Hot Stone Massage Therapy ..
and it's benefits for your overall health! Hot Stone Massage Therapy uses smooth, heated massage stones which are slowly glided over the skin, using warm massage oil or gel for a deeply relaxing treatment. Benefits of Hot Stone Massage Therapy! Stones have been known to affect clients in profound ways- emotionally, physically, psychologically and spiritually. The deepness of relaxation with this bodywork is that profound. Hot stone massage can be a very therapeutic treatment, as the stones are placed on specific target areas, which are rich with nerve endings and reflexes. One of the most important benefits of placing warm massage stones on these areas is that it creates deep relaxation during the session. This treatment, when performed correctly, can actually induce a sedation of the nervous system. The combination of quality stones and proper technique results in a healing hot stone massage therapy session. When the client truly relaxes and muscles release built up tensions, the body's natural healing ability can take place. Hot stone massage therapy warms the body and the soul. Done in consideration of each client's health history, this treatment is usually safe for most people. However, you should be trained in this modality. Many therapists practice this modality without having professional training. There are many things that could happen using hot stones, and proper classes, in addition to purchasing a Hot Stone Massage DVD Package gives a therapist the opportunity to view videos several times, which helps you memorize important steps in the treatment. This set includes hot stone massage, facial massage with stones, hand and foot massage with stones and using stones with reflexology treatments, giving you the ability to add many services to your menu. This DVD package will provide instructions for caring for your stones as well. To reduce the risk of burning, use warm massage stones rather than hot stones. Purchase a massage stone heater that you can control the exact temperature setting. A stone heater accessory kit is also helpful, as well as a bowl of cold water, in case the stones do feel too hot to place on the client's skin. Kits include a net, thermometer,Stone Bag (for toe, finger or face stones), and plastic slotted spoon. 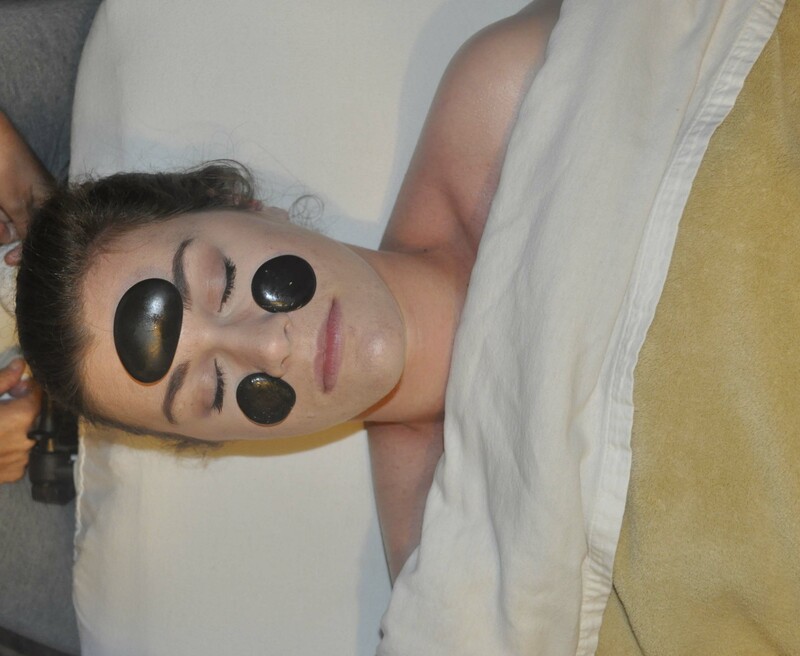 Hot massage stones (127 degrees or higher) should never be placed directly on skin without moving them. Warm stones, 120 to 127, are safer to use. Always keep a bowl of cold water beside your stones to cool them before placing on the skin. The therapist will most likely be using basalt stones, which tend to retain heat for a long period of time. Read more about Basalt Massage Stones . You might be interested in Advanced Stone Massage, which teaches how to use shaped massage stones, and how to effectively use massage stones to release trigger points or Geothermal Therapy, which teaches how to use hot and cold stones together to effectively treat muscle conditions and pain syndromes. First, massage stones are placed on certain areas of the body in order to warm the muscles and open energy pathways. Laying stones on these areas (such as along the spine, between the toes, behind the neck, in the palm of your hand, and on the forehead) for several minutes, allows the relaxation to begin. The therapist will gradually remove the stones and begin gliding movements with them for several minutes, which will be followed by relaxing massage strokes. If you have areas that are inflamed or are painful or very warm to the touch, the therapist may use cool stones. Read more about Benefits of Cold Stone Massage . A hot stone massage therapy session will cost $90-$125 per hour, depending on where you receive the treatment and the experience level of your therapist. Day spa treatments and event planning in Manuel Antonio, Costa Rica.